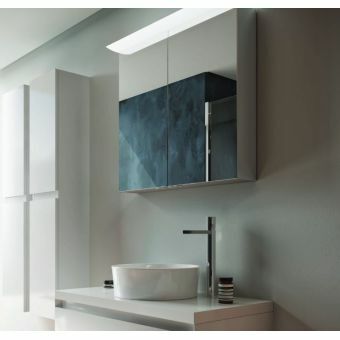 Heralded as the flagship cabinet in the villeroy and boch My View range, the sleek exquisite finish of these mirror cabinets is exceptional. 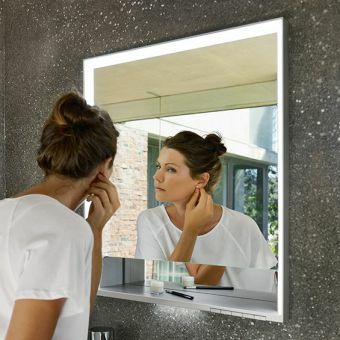 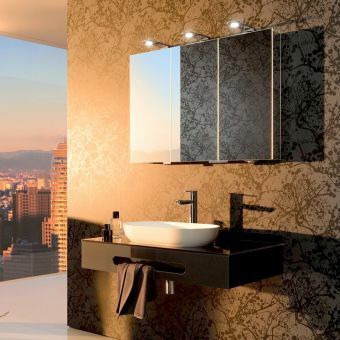 Guaranteed to blend effortlessly with any modern decor, the melding of silvered polished aluminium and flawless reflections in the mirror fronted cabinet will enthral with its timeless beauty. 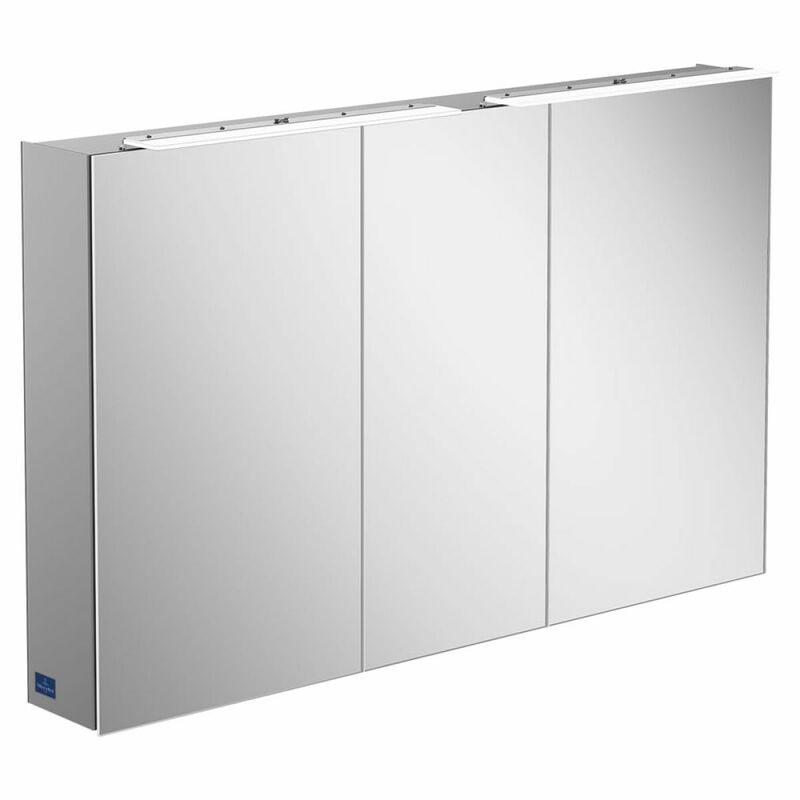 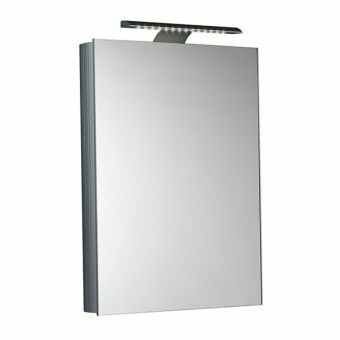 Arranged on five widths spanning 600 up to 1300mm wide, these modern masterpieces are fitted with every convenience. 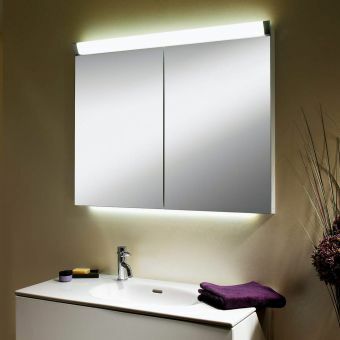 Low voltage LED lighting sits above the doors to provide clear concise lighting that will flatter and illuminate the whole bathroom. 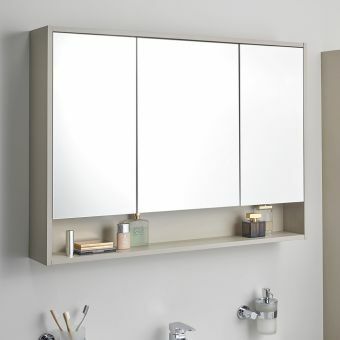 Inside, the fully mirrored interior provides plenty of storage from its 2 or 4 toughened glass shelves (depending on which size you choose) and little details such as a fitted magnifying mirror allow a close up look at your face plus its unique magnetic strip can clear up clutter such as scissors and tweezers in an instant. 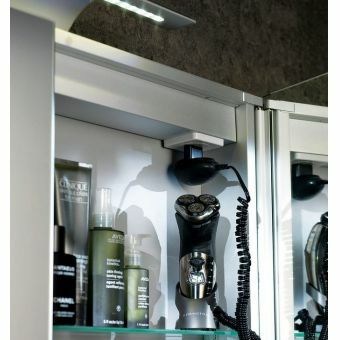 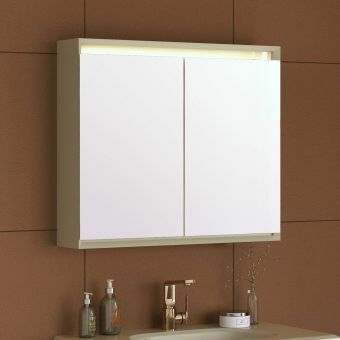 With an IP44 rating and a charging socket for shavers or toothbrushes included, your cabinet was never more useful and can provide a tailor-made solution to optimize your storage needs.